Serpentine was named in 1564 by Georgius Agricola (Georg Bauer) from the Latin "serpens", "snake", in allusion to the mottled green appearance of the mineral suggesting the resemblance to some snakes. Serpentine is a subgroup of the Kaolinite-Serpentine Group, usually trioctahedral, with divalent cations dominating in octahedrally coordinated sites. The most common species are all Mg-dominant: lizardite, chrysotile and antigorite. Bastite Name for pseudomorphs of serpentine-group minerals after enstatite. Infinite Superfluous trade name for a light-green serpentine with bands of white chrysotile. Marmolite Light green pearly serpentine which may show a somewhat laminated fracture pattern. Metaxite (of de Fourestier) Variously described as a variety of antigorite or chrysotile. Ni-Serpentine A name for artificial serpentine-group minerals with Ni replacing Mg. Essentially Ni-rich antigorite or amesite. Nickeliferous Serpentine A nickel-bearing variety of serpentine. Picrolite Columnar or coarsely fibrous (non-asbestiform) variety of serpentine, commonly referred to as a variety of antigorite but may be other species. Radiotine A name for serpentine occurring in spherical aggregates of radiating fibers. Retinalite Honey-yellow to light green, massive, sometimes gem-quality, serpentine. Ricolite A variety of serpentine interbanded with talc. Serpentinasbest Asbestiform varieties of "serpentine", i.e., members of the serpentine group (usually chrysotile). Zussman, J., Brindley, G.W., and Comer, J.J. (1957) Electron diffraction studies of serpentine minerals. American Mineralogist: 42: 133-153. Page, N.J. and Coleman, R.G. (1967) Serpentine mineral analyses and physical properties. USGS Professional Paper 575-B: 103-107. Page, N.J. (1968) Chemical differences among the serpentine “polymorphs.” American Mineralogist: 53: 201-215. Luce, R.W. (1971) Identification of serpentine varieties by infrared absorption: USGS Professional Paper 750-B: 199-201. Whittaker, E.J.W. and Zussman, J. (1971) The serpentine minerals. In: The Electron-Optical Investigation of Clays. (J.A. Gard, ed.) Mineral. Soc. Monograph 3: 159-191. Peacor, D.R., Essene, E.J., Simmons, W.B., Jr., and Bigelow, W.C. (1974) Kellyite, a new Mn-Al member of the serpentine group from Bald Knob, North Carolina, and new data on grovesite. American Mineralogist: 59: 1153-1156. Sunagawa, I. and Koshino, Y. (1975) Growth Spiral on Kaolin Group Minerals. American Mineralogist: 60: 407-412. Wicks, F.J. and O'Hanley, F.C. (1988) Serpentine minerals: Structures and petrology. In S.W. Bailey, Ed., Hydrous Phyllosilicates (exclusive of micas), 19, 91-159. Reviews in Mineralogy, Mineralogical Society of America, Chantilly, Virginia. Wu, X.J., Li, F.H., and Hashimoto, H. (1989) High-resolution transmission electron microscopy study of the superstructure of Xiuyan Jade and Matterhorn serpentine. Acta Crystallographica: B45: 129-136. Ulmer, P. and Trommsdorff, V. (1995) Serpentine stability to mantle depths and subduction-related magmatism. Science: 268: 858-861. Irifune, T., Kuroda, K., Funamori, N., Uchida, T., Takehito, Y., Inoue, T., and Miyajima, N. (1996) Amorphization of serpentine at high pressure and high temperature. Science: 272: 1468-1470. Auzende, A.L., Devouard, B., Guillot, S., Daniel, I., Baronnet, A., and Lardeaux, J.M. (2002) Serpentinites from Central Cuba: petrology and HRTEM study. European Journal of Mineralogy: 14: 905-914. Auzende, A.L., Daniel, I., Reynard, B., Lemaire, C., and Guyot, F. (2004) High-pressure behaviour of serpentine minerals: a Raman spectroscopic study. Physics and Chemistry of Minerals: 31: 269-277. Baronnet, A. and Devouard, B. (2005) Microstructures of common polygonal serpentines from axial HRTEM imaging, electron diffraction and simulation data. The Canadian Mineralogist: 43: 513-542. Balan, E., Calas, G., and Bish, D.L. (2014) Kaolin-group minerals: From hydrogen-bonded layers to environmental recorders. Elements: 10: 183-188. The following Serpentine Subgroup specimens are currently listed for sale on minfind.com. [Lizardite] Thorne, R., Roberts, S., Herrington, R. (2012) The formation and evolution of the Bitincke nickel laterite deposit, Albania. Mineralium Deposita, 47:8, 933-947.
http://www.venuewest.com/8IKC/s1post.htm; Cruz, S. R., Watangua, M., Melgarejo, J. C., & Gali, S. (2008). New insights into the concept of ilmenite as an indicator for diamond exploration, based on kimberlit petrographic analysis. Revista de la sociedad española de mineralogia, 9, 205-206. Ikeda, Y. (1983) Alteration of chondrules and matrices in the four antarctic carbonaceous chondrites ALH-77307(C3), Y-790123(C2), Y-75293(C2), and Y-74662(C2): Symposium on Antarctic Meteorites, 8th, Tokyo, Japan: National Institute of Polar Research, Memoirs, Special Issue, no. 30:93-108. (Dec 1983). ; Brearley, A. J. (2006) The Action of Water. IN: Meteorites and the Early Solar System II (Lauretta, D. S. & McSween Jr, H. Y. [editors]: pp. 587-624. University of Arizona Press: Tucson. O. Rabbia, L. Hernández, A. Demichelis y J. Coniglio (1993). Mineralogia de cromitas y óxidos asociados de las serpentinitas del extremo sur de las sierras de Córdoba. 12° Congreso Geológico Argentino y 2do Congreso de Exploración de Hidrocarburos, 5: 73-81. [Lizardite] Colombo, F., Lira, R., Ripley, E. M., & del Tanago, J. G. (2011). Geology, mineralogy and possible origin of the copper mineralization in marble near Saldan, Cordoba (Argentina). Journal of GEOsciences, 56(3), 299-316. C. Gordillo y J. Rossi (1968). La escapolita de la Cantera El Pozo, Alta Gracia (Córdoba). 3rasJornadas Geológicas Argentinas, 3:1-12. [Cronstedtite] Howard, K.T., Alexander, C.M.O'D, Schrader D.L. & Dyl K.A. (2015) Classification of hydrous meteorites (CR, CM, and C2 ungrouped) by phyllosilicate fraction: PSD-XRD modal mineralogy and planetismal environments. Geochimica et Cosmochimica Acta 149, 206-222. [Antigorite] J. A. Fallet y E. Zanoni (1999). Yacimientos de Talco en Mendoza. En: Recursos Minerales de la República Argentina (1999). (Edición E. O. Zappettini). Instituto de Geología y Recursos Minerales. SEGEMAR, Volumen I, Anales Nº 35; 715-720. Buenos Aires. [Chrysotile] Gablina, I.F., Semkova, T.A., Stepanova, T.V., and Gor'kova, N.V. (2006): Lithology and Mineral Resources 41(1), 27-44. [Chrysotile] Marchesi, C., Garrido, C. J., Harvey, J., González-Jiménez, J. M., Hidas, K., Lorand, J. P., & Gervilla, F. (2013). Platinum-group elements, S, Se and Cu in highly depleted abyssal peridotites from the Mid-Atlantic Ocean Ridge (ODP Hole 1274A): Influence of hydrothermal and magmatic processes. Contributions to Mineralogy and Petrology, 166(5), 1521-1538. Lartaud, F., De Rafélis, M., Little, C. T. S., Dyment, J., Bayon, G., Ildefonse, B., & Le Bris, N. (2011). Ultramafic hydrothermal systems on the Rainbow abyssal hill: a wide variety of active and fossil chemosynthetic habitats. InterRidge News, 20, 32-36.; Lartaud, F., De Rafélis, M., Oliver, G., Krylova, E., Dyment, J., Ildefonse, B., ... & Fouquet, Y. (2010). Fossil clams from a serpentinite‐hosted sedimented vent field near the active smoker complex Rainbow, MAR, 36 13′ N: Insight into the biogeography of vent fauna. Geochemistry, Geophysics, Geosystems, 11(8). Mazarovich, A.O., Simonov, V.A., Peive, A.A., Kovyazin, S.V., Tret’yakov, G.A., Raznitsin, Y.N., Savel’eva, G.N., Skolotnev, S.G., Sokolov, S.Y., and Turko, N.N. (2001): Lithology and Mineral Resources 36(5), 460-466. [Chrysotile] Sharkov, E.V., Abramov, S.S., Simonov, V.A., Krinov, D.I., Skolotnev, S.G., Bel’tenev, V.E., and Bortnikov, N.S. (2007): Geology of Ore Deposits 49(6), 467-486. [Amesite] McQueen, K. G., & Larson, R. A. (1985) The Occurrence of Wittichenite and Sulfide Exsolution Textures at the Glen Deposit, Wee Jasper, New-south-wales. Neues Jahrbuch Fur Mineralogie-monatshefte, (10), 469-480. [Antigorite] Gilligan, L.B., Byrnes, J.G. (1995) Metallogenic Study and Mineral Deposit Data Sheets: Cobar Metallogenic Map 1:250 000 (SH/55-14), Geological Survey of New South Wales, Sydney, 240 pages. [Antigorite] Oskierski, H. C., Dlugogorski, B. Z., & Jacobsen, G. (2013) Sequestration of atmospheric CO₂ in chrysotile mine tailings of the Woodsreef Asbestos Mine, Australia: Quantitative mineralogy, isotopic fingerprinting and carbonation rates, Chemical Geology, vol. 358, 156-169. [Chrysotile] Brown, R.E., Brownlow, J.W., Krynen, J.P. (1992) Metallogenic Study and Mineral Deposit Data Sheets, Manilla-Narrabri 1:250 000 Metallogenic Map SH/56-9, SH/55-12. Geological Survey of New South Wales, Sydney, 319 pages. [Chrysotile] Metallogenic Study and Mineral Deposit Data Sheets: Grafton-Maclean Metallogenic Map, Geological Survey of New South Wales, 2001: HF Henley, RE Brown, JW Brownlow, RG Barnes and WJ Stroud. [Chrysotile] Metallogenic Study and Mineral Deposit Data Sheets: Grafton-Maclean Metallogenic Map (SH/56-6, SH/56-7), Geological Survey of New South Wales, 2001: HF Henley, RE Brown, JW Brownlow, RG Barnes and WJ Stroud. Published by the Geological Survey of New South Wales. [Chrysotile] Metallogenic Study and Mineral Deposit Data Sheets: Grafton-Maclean Metallogenic Map (SH/56-10, SH/56-11), Geological Survey of New South Wales, 2001: HF Henley, RE Brown, JW Brownlow, RG Barnes and WJ Stroud. Published by the Geological Survey of New South Wales. [Caryopilite] Oberti, R., Boiocchi, M., Hawthorne, F. C., Ball, N. A., & Ashley, P. M. (2016). 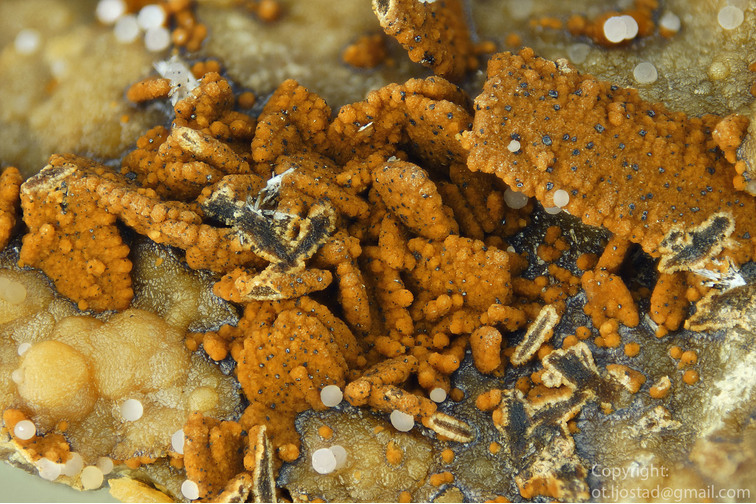 PREPUBLICATION: Oxo-mangani-leakeite from the Hoskins mine, New South Wales, Australia: occurrence and mineral description. Mineralogical Magazine. Hockley, J.J., Birch, W.D., Worner, H.K. (1978) A nephrite deposit in the great serpentine belt of New South Wales. Journal of the Geological Society of Australia, 25(5-6), 249-254. [Antigorite] Och, D.J., Leitch, E.C., Caprarelli, G. (2007) Geological units of the Port Macquarie–Tacking Point tract, north-eastern Port Macquarie Block, Mid North Coast region of New South Wales. Quarterly Notes, Geological Survey of New South Wales, No. 126. [Lizardite] English, P., Ashley, P. (2010) The Doonba dunite deposit, Barraba, NSW. New England Orogen 2010, NEO 2010 Conference Proceedings, University of New England, 388 pages, at 146-149. [Antigorite] Ashley, P. M., & Hartshorn, G. K. (1988). Geological and geochemical characteristics of lode gold deposits in the Nundle Goldfield, northeastern New South Wales. New England Orogen—Tectonics and Metallogenesis, 249-263.; Ashley, P. M., & Brownlow, J. W. (1993). Silica-carbonate alteration zones in the Great Serpentinite Belt, southern New England Orogen: their nature and significance. New England Orogen. University of New England, Armidale, Australia, 197-214. Huston, D.L., Cozens, G.J. (1994) The Geochemistry and Alteration of the White Devil Porphyry: implications to intrusion timing, Mineralium Deposita 29, Issue 3, pp.275-287. Crohn, P.W. & Moore, D.H., (1984) The Mud Tank Carbonatite, Strangways Range, central Australia. BMR Journal of Australian Geology and Geophysics 9:1:13-18. Bureau of Mineral Resources, Geology and Geophysics, Canberra. [Antigorite] Thompson, D. (ed) (1986) A Guide to Fossicking in the Northern Territory. Northern Territory Geological Survey, Northern Territory Department of Mines and Energy, 2nd ed., 73p. [Chrysotile] Bennett, M., Mayes, K. (2017) The Rockface Copper Discovery at Jervois, Annual Geoscience Exploration Seminar (AGES 2017) Proceedings. Northern Territory Geological Survey. Anderson, J.A. (1993) Exploration Licence 7858 Strangways Range, Northern Territory (Alice Springs/Alcoota 1:250,000 Sheets) Annual Exploration Report to 14th September 1993. Aberfoyle Resources Limited. [Antigorite] Fitz Gerald, J. D.; Eggleton, R. A.; Keeling, J. L. (2010): Antigorite from Rowland Flat, South Australia: asbestiform character. European Journal of Mineralogy, 22, 525-533. [Chrysotile] Brown, H.Y.L. (1908) Record of the Mines of South Australia. 4th edition. South Australian Government Printer, 382 pp. [Chrysotile] BOTTRILL, R. S., and BAKER, W. E. (2008) A Catalogue of the Minerals of Tasmania. Geological Survey Bulletin 73, Mineral Resources Tasmania. 254 pages. [Lizardite] Tested by XRD and SEM-EDS by R Bottrill, unpub. rept. MRT Document ER7914S0: Geological Survey Explanatory Report, One Mile Geological Map Series, Sheet 50 (7914S), Zeehan. [Clinochrysotile] Patterson, D.J., 1979, Renison mine, Tasmania. Unpub. PhD thesis, Uni. Tas. [Chrysotile] B. L Taylor 1955. Asbestos in Tasmania. Geological Survey Tasmania. Mineral resources, 9. MRT Document ER8215N0: Geological Survey Explanatory Report. Geological Atlas 1 mile series, Zone 7 Sheet 30 (8215N). Beaconsfield (Second Edition) MRT Document UR1930_059_63: Report on the Boring Operations Undertaken in Connection with the Beaconsfield Chromiferous Iron Ore Deposits. MRT Document UR1930_026_58: The chromium eresources of Tasmania. MRT Document OS_204: Report on the Mineral Resources of the Districts of Beaconsfield and Salisbury Company Report - Onshore 88_2831: Exploration Licence 18/87 - Andersons Creek. Annual Report : Year 1 (25 June 1987 - 24 June 1988) Company Report - Onshore 71_0825: Exploration Licence No. 26/70 - Beaconsfield, Prospecting Report for 6 Months to October, 1971 MRT Document UR1928B_169_178: Iron ore deposits of Tasmania. [Antigorite] Peter R. Buseck & Xin Hua (1993). Matrices of carbonaceous chondrite meteorites. Annual Review of Earth & Planetary Sciences 21, 255-305. [Antigorite] Fetherston, J.M. (2010) Dimension stone in Western Australia: Volume 2 - Dimension stones of the southern, central western, and northern regions: Geological Survey of Western Australia, Mineral Resources Bulletin 24, 218 pages. ⓘ Wittenoom Gorge Mine ? [Antigorite] Simpson, Edward S. (1948) Minerals of Western Australia Vol 1 (Facsimile ed. 1984). Hesperian Press, Carlisle, Western Australia, p.115. ⓘ Queen Victoria Rocks prospect ? [Antigorite] Marston, R.J. (1984) Nickel Mineralization in Western Australia. Mineral Resources Bulletin 14, Geological Survey of Western Australia, 291p. [Antigorite] Ostwald, J (1978) Linnaeite series minerals from the Kalgoorlie district, Western Australia, Mineralogical Magazine (Mar 1978) Vol.42 pp.93-98. [Antigorite] Marston, R. J., Kay, B. D. (1980) The Distribution, Petrology, and Genesis of Nickel Ores at the Juan Complex, Kambalda, Western Australia, Economic Geology (1980) Vol. 75, No.4, pp.546-565. [Antigorite] Marston, R.J. (1984) Nickel Mineralization in Western Australia. Mineral Resources Bulletin 14, Geological Survey of Western Australia, 291 pages. [Antigorite] An Occurrence of Gaspeite and Pecoraite in the Nulllagine Region, Western Australia; Ernst Nickel; Mineralogical Magazine; Mar 1973, pp113-115. [Pecoraite] MM 44 (1981), 153; HB2/2 (1995); Song, Y., Moon, H. S., & Chon, H. T. (1995). New occurrence and characterization of Niserpentines in the Kwangcheon area, Korea. Clay Minerals, 30(3), 211-224. [Berthierine] Riley, J.F. (1975) A nickel-bearing aluminium serpentine (septechlorite) from Western Australia, Mineralogical Magazine, 40:310, 200-202. Marston, R.J. (1984) Nickel Mineralization in Western Australia. Mineral Resources Bulletin 14, Geological Survey of Western Australia, 291p. .
[Antigorite] Grguric, B.A., Jones, S., Gray, S. (in press) Chromian clinochlore from Coobina, Pilbara Province, Western Australia. Australian Journal of Mineralogy. Abeysinghe, P.B. (1996) Talc, Pyrophyllite and Magnesite in Western Australia: Western Australia Geological Survey, Mineral Resources Bulletin 16, 129p. [Antigorite] Simpson, Edward S. (1948) Minerals of Western Australia Vol 1 (Facsimile ed. 1984). Hesperian Press, Carlisle, Western Australia, p111. [Amesite] Clarke, R.M., Williams, I.R. (1986) Moolooite, a naturally occurring hydrated copper oxalate from Western Australia, Mineralogical Magazine (June 1986) Vol.50, pp295-298. [Antigorite] Simpson, E.S., (1948) Minerals of Western Australia. Volume 1-3. Government Printer, Perth. [Lizardite] Nickel Mineralisation in Western Australia by R.J. Marston 1984. [Antigorite] Mills, S. J., Wilson, S. A., Dipple, G. M. & Raudsepp, M. (2010) The decomposition of konyaite: Importance in CO2 in mine tailings. Mineralogical Magazine, 74(5), 903–917. [Lizardite] The Kimberlites and Lamproites of Western Australia, 1986. Mock, C. et al (1987), Gold Deposits of Western Australia, BMR, Datafile (MINDEP), Resource Deposit 3, Dept of Primary Industries and Energy, Bur of Mineral resources Geology Geophysics, Commonwealth Government of Australia, 1987. [Amesite] Götzinger, M. A. (2009): Die Salzminerale des Seewinkels, Burgenland. [Chrysotile] Autorenkollektiv (Red. M. A. Götzinger und P. Huber) (2009): Die Mineralien des Burgenlandes - Geologie, Mineralogie und mineralische Rohstoffe. – Wissenschaftliche Arbeiten aus dem Burgenland, Band 126, Amt der Burgenländischen Landesregierung, Abteilung 7 - Landesmuseum, Eisenstadt, 256 S.
[Antigorite] Autorenkollektiv (Red. M. A. Götzinger und P. Huber) (2009): Die Mineralien des Burgenlandes - Geologie, Mineralogie und mineralische Rohstoffe. – Wissenschaftliche Arbeiten aus dem Burgenland, Band 126, Amt der Burgenländischen Landesregierung, Abteilung 7 - Landesmuseum, Eisenstadt, 256 S.
[Lizardite] Knobloch, G. (2004): Unverhofft kommt oft - die Entdeckung einer unbekannten kleinen Sphalerit-Lagerstätte im Dunkelsteinerwald, Niederösterreich. Mineralien-Welt, 15 (1), 28-33. [Amesite] Kolitsch, U. (2015): 1937) Amesit(? ), Baryt, Bornit, Chalkopyrit, Chromit, Hercynit, Hollingworthit, Ilmenit, Irarsit, Klinochlor, Laurit, Magnetit, Millerit, Pentlandit, Polydymit, Pyrit, Pyrrhotin, Rutil, Sperrylith, Spinell, Violarit und Xenotim-(Y)(?) von Wolfsbach im nördlichen Waldviertel, Niederösterreich. Pp. 246-249 in Niedermayr, G. et al. (2015): Neue Mineralfunde aus Österreich LXIV. Carinthia II, 205./125., 207-280. [Chrysotile] SIGMUND, Alois (1937a): Die Minerale Niederösterreichs.- 2. Aufl., XI + 247 S., Wien - Leipzig (Deuticke). Holzer, H. & E. J. Zirkl (1962): Weitere Mitteilungen über niederösterreichische Graphitlagerstätten. Verh. Geolog. B.-A., 1963, 316-330. HABEL, A. & M. HABEL (2007): Kraftwerksneubau im Gasteinertal - Sportgastein - Naßfeld. Mineralien-Welt 18 (3), 10; Kolitsch, U. (2009): 1589) Aikinit, Bavenit, Gips, Granat, ein Mineral der Kaolnitgruppe, Malachit und Molybdänit aus den Deponien des Kraftwerkbaues im hinteren Gasteinertal (Sportgastein), Salzburg. Pp. 211-212 in: Niedermayr, G. et al. (2009): Neue Mineralfunde aus Österreich LVIII. Carinthia II, 199/119, 189-236. [Antigorite] Strasser, A. (2010): Mineralneufunde. Mineral. Arch. Salzb. 13, 277-285. [Antigorite] Josef Taucher & Christine Elisabeth Hollerer (2012): Baryt sowie Antigorit, Aragonit, Calcit, Chrysotil, Dolomit, Gips, Goethit, Hämatit, Jarosit, Magnetit, Markasit,Pyrit und Rozenit vom Steinbruch auf der Gloriette nahe Bahnhof Bruck an der Mur, Steiermark. Der Steirische Mineralog 26, 54-55. Kolitsch, U. & Gröbner, J. (2016): Cobaltit, Delafossit und Monazit-(Ce) vom Magnesitbergbau Breitenau am Hochlantsch. Der Steirische Mineralog 31, 50-51. [Antigorite] Kolitsch, U. et al. (2008); Keeling, J. (2018): Austrian ‘asbestos mystery’ solved with reference to South Australian study. MESA Journal 86, 45–48. [Caryopilite] Abrecht, J. (1990): An As-rich manganiferous mineral assemblage from the Ködnitz Valley (Eastern Alps, Austria): Geology, mineralogy, genetic considerations, and implications for metamorphic Mn deposits. Neues Jahrbuch für Mineralogie, Monatshefte 1990, 363-375. [Chrysotile] Schäfer, W. (1980): Kraxeln nach Kristallen - Mineralien von der Gösleswand. Mineralien-Magazin, 4 (12), 559-565 (in German). - F.Bauer, in: Neue Fundpunkte von Serpentin und verwandten Gesteinen aus dem Flysch SE Kirchdorf an der Krems (Oberösterreich). Verhandlungen Geologische Bundesanstalt 1955, Heft 3, Wien 1955, 1 Abbildung, Seite 212 –216. - E.J.Zirkl, in: Die Oberösterreich Mineraliensammlung Otmar Wallenta. Anselm Desing Verein, Naturwissenschaftliche Sammlung Kremsmünster 31 Kremsmünster 1995, 52 Abbildungen, 87 Seiten. Oberhauser, R. (1991): Erläuterungen zu Blatt 110 Sankt Gallen Süd und 111 Dornbirn Süd. Geol. B.-A., 72 pp. [Chrysotile] Schultz, F. et al. (2004) Contrib. Mineral. Petrol., 148, 391-408. Anashkin, S., Bovkun, A., Bindi, L., Garanin, V., & Litvin, Y. (2013). Kudryavtsevaite, Na3MgFe3+ Ti4O12, a new kimberlitic mineral. Mineralogical Magazine, 77(3), 327-334.; Anashkin, S. M., Bovkun, A. V., Litvin, Y. A., & Garanin, V. K. (2013, August). The Na-Mg-Fe-Ti oxide mineral in association with picroilmenite and freudenbergite from kimberlite of the AK8 pipe, Botswana (natural and experimental data). In Doklady Earth Sciences (Vol. 451, No. 2, pp. 849-854). Springer US. 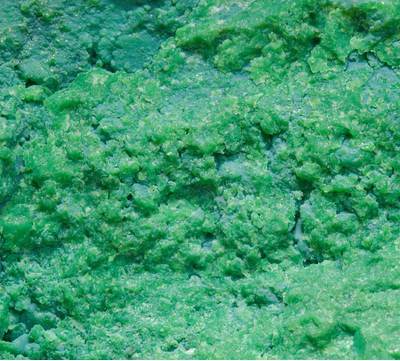 [Antigorite] Mota-e-Silva, J., Prichard, H. M., Ferreira Filho, C. F., Fisher, P. C., & McDonald, I. (2015). Platinum-group minerals in the Limoeiro Ni–Cu–(PGE) sulfide deposit, Brazil: the effect of magmatic and upper amphibolite to granulite metamorphic processes on PGM formation. Mineralium Deposita, 50(8), 1007-1029. Sá, J. H. S., Barnes, S. J., Prichard, H. M., & Fisher, P. C. (2005). The distribution of base metals and platinum-group elements in magnetitite and its host rocks in the Rio Jacaré Intrusion, Northeastern Brazil. Economic Geology, 100(2), 333-348. Danni, J.C.M; Gaspar, J.C., 1994, Química do Katungito de Amorinópolis - Goiás: Contribuição ao Estudo do Magmatismo Kamafugítico. Dutra, C. V., & Formoso, M. L. L. (2011). Considerações sobre os elementos terras raras em apatitas. Geochimica Brasiliensis, 9(2). ; Berger, V.I., Singer, D.A., and Orris, G.J., 2009, Carbonatites of the world, explored deposits of Nb and REE; database and grade and tonnage models: U.S. Geological Survey Open-File Report 2009-1139, 17 p. and database. [Berthierine] Atencio et al. (1999) Canadian Mineralogist 37, 91-98. [Antigorite] de Carvalho, M. L. M., de Oliveira, S. B., & Benique, M. E. C. (1997). Caracterização Da Piroaurita Do Maciço Máfico-ultramáfico Do Vermelho-serra Dos Carajás, PA. Geochimica Brasiliensis, 11(1). [Antigorite] Kunov, A., Tsintsov, Z., Banushev, B., Кунов, А., Здравко, Ц., & Бануш, Б. Listwaenite type wall-rock alterations in Bulgaria–peculiarities and gold ore perspectives Лиственитов тип околорудни изменения в България–особености и златорудна перспектива. [Berthierine] Damyanov, Z., & Vassileva, M. (2001). Authigenic phyllosilicates in the Middle Triassic Kremikovtsi sedimentary exhalative siderite iron formation, Western Balkan, Bulgaria. Clays and clay minerals, 49(6), 559-585. [Antigorite] I. Kostov, V. Breskovska, J. Mincheva-Stefanova, G. Kirov (1964): Minerals of Bulgaria. Sofia, Bulgaria, 540 pp. (in Bulgarian). [Antigorite] Dzemua, G. L., & Gleeson, S. A. (2012). Petrography, Mineralogy, and Geochemistry of the Nkamouna Serpentinite: Implications for the Formation of the Cobalt-Manganese Laterite Deposit, Southeast Cameroon. Economic Geology, 107(1), 25-41.; Dzemua, G. L., & Gleeson, S. A. (2012). Petrography, Mineralogy, and Geochemistry of the Nkamouna Serpentinite: Implications for the Formation of the Cobalt-Manganese Laterite Deposit, Southeast Cameroon. Economic Geology, 107(1), 25-41. [Berthierine] Jennifer Pell (1994) Carbonatites, Nepheline Syenites, Kimberlites and Related Rocks in British Columbia. Brithish Columbia Ministry of Energy Bulletin 88. [Chrysotile] Rhys, D.A. (1993): Geology of the Snip mine and its relationship to the magmatic and deformational history of the Johnny Mountain area, northwestern British Columbia. The University of British Columbia, unpublished M.Sc. thesis, 1993, 278 pp. De Leen, J. L. (1946). The geology and mineralogy of the Little Billy mine, Texada Island, BC. [Chrysotile] Palache, C., Berman, H., & Frondel, C. (1951), The System of Mineralogy of James Dwight Dana and Edward Salisbury Dana, Yale University 1837-1892, Volume II: 377. [Antigorite] Economic Geology 112 (2017) 517-550. [Chrysotile] Phillips, K. A. (1979) Minerals of Manitoba: Volume II: Metallic minerals. Manitoba Mineral Resources Division Educational Series 78/2. A. Dogan Paktunc (1984) Metamorphism of the ultramafic rocks of the Thompson Mine, Thompson nickel belt, northern Manitoba Can Mineral, 22:77-91; Chen, Yuan, "Precious-metal Mineralization And Sulfide-silicate Relationships In Some Canadian Nickel-copper Sulfide Deposits: Thompson Mine, Manitoba; Sudbury, Ontario; Dundonald Beach, Ontario" (1993). Digitized Theses. Paper 2231. Stephen Colman-Sadd and Sharon Scott (1994) Newfoundland and Labrador Traveller's Guide to the Geology Guidebook to Stops of Interest. pp 21-22. [Népouite] Escayola, M., Garuti, G., Zaccarini, F., Proenza, J.A., Bédard, J.H. & Van Staal, C. (2011) Chromitite and platinum-group-element mineralization at Middle Arm Brook, Advocate Ophiolite complex, Baie Verte Peninsula, Newfoundland, Canada. Canadian Mineralogist 49, 1523-1547. Anton R. Chakhmouradian and Roger H. Mitchell (2001) Three compositional varieties of perovskite from kimberlites of the Lac de Gras Field (Northwest Territories, Canada). Mineralogical Magazine 65:133-148; Masun, K. M. (1999). The petrography and mineralogy of the Lac de Gras kimberlite field, Slave Province, Northwest Territories: A comparative study. Master of science, Department of Geology, Lakehead University. [Antigorite] Sabina, A.P. (1972) Rocks & minerals for the collector: The Alaska Highway, Dawson Creek, British Columbia to Yukon/Alaska border. GSC paper 72-32. Reissued (1992) as GSC Miscellaneous Report 50, 21-22. 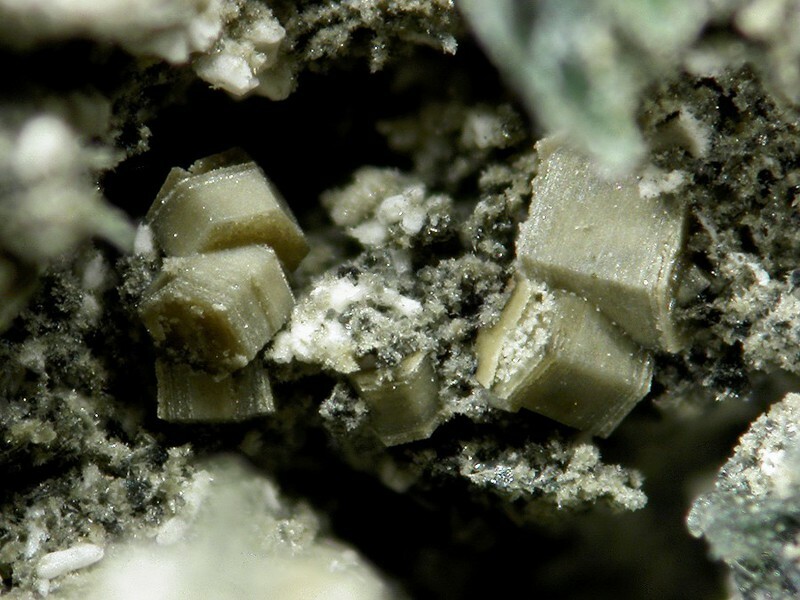 [Berthierine] Wise, M. and Cerny, P., 1990, Beusite-Triphylite Intergrowths from theYellowknife Pegmatite Field, Northwest Territories, Canadian Mineralogist, v. 28: 133-139. [Antigorite] A.K. Chatterjee, "Tungsten Mineralization in the Carbonate Rocks of the George River Group, Cape Breton Island, Nova Scotia", Nova Scotia Dept. Mines, Report 77-7, 1977. [Antigorite] A.K. Chatterjee, "Copper-Zinc Deposit at McMillan Brook, Victoria County, Cape Breton Island", Nova Scotia Dept. Mines, Report 77-1, 1977. [Kellyite] Richardson, J.M. (1988) Genesis of the East Kemptville greisen-hosted tin deposit, Davis Lake complex, Southwestern Nova Scotia, Canada. Unpublished Ph.D. thesis, Carleton University: 293 pg. Boyle, D.R. (1991) The East Kemptville polymetallic tin domain. Mineral Deposits of New Brunswick and Nova Scotia: Geological Survey of Canada Open File 2157: 88-132. [Chrysotile] Hogarth (1997) Canadian Mineralogist 35, 53-78. [Lizardite] American Mineralogist (1969): 54: 684-696. Ann P.Sabina (2007), Rocks and Minerals for the Collector, Ottawa to North Bay and Huntsville, Ontario; Gatineau (Hull) to Waltham and Temiscaming, Quebec. GSC Misc. Report 48. Sangster, P.J., McGuinty, W.J., Papertzian, V.C., Steele, K.G., Lee, C.R., Barua, M., Laidlaw, D.A. and Carter, T.R. 2003. Report of Activities 2002, Resident Geologist Program, Southern Ontario Regional Resident Geologist Southeastern and Southwestern Districts, Mines and Minerals Information Centre, and Petroleum Resources Centre; Ontario Geological Survey, Open File Report 6115, 118p. Ann P. Sabina, Rocks & Minerals for the Collector: Geoligical Survey of Canada Miscellaneous Report 39. Page 91, Highway 507 roadcut.